Shaun Ormrod joined the Farnborough International Airshow in April 2008, just prior to that year’s event. His career has been spent in the events industry arriving from London’s famous Alexandra Palace where he had been General Manager. 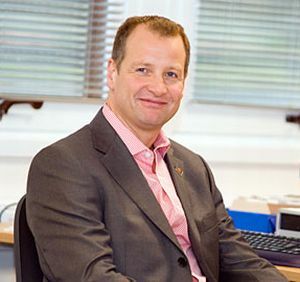 His previous appointments include Group Operations Director with NEC and six years as Managing Director of The International Centre, during which time it was awarded Investors in People status and The Events Best Venue UK (in 2004). Can I welcome you to Farnborough International 2010 which we believe is the finest aerospace exhibition ever staged. In very simple terms we are hosting over 1,300 exhibitors from 39 countries and 22 international pavilions including for the first time Brazil, China, Morocco and Portugal. There are eight regional pavilions from the UK. On display are over 150 aircraft. It is the world’s largest temporary exhibition covering 247 acres with anticipated attendance of 250,000 visitors from around the globe. In spite of difficult economic times I am sure we are in for a spate of orders and significant announcements. We are proud that both Airbus and Boeing have chosen Farnborough for the first overseas display of the A400M and 787 Dreamliner respectively. These two major airframe projects epitomise what our show is all about. It is both a military and commercial centre-stage for airframe manufacturers and component suppliers to showpiece both the finished article and those in the process of development. May I strongly suggest, perhaps in the morning of your visit, that you take time to view the four air conditioned exhibition halls. I myself took a look around last week as the finishing touches were being applied. As essentially a newcomer to the industry its shear complexity and originality is truly amazing. Yes we do host the international industrial giants from around the globe but also represented are tiny suppliers (with equally small booths), vital in the complex chain that leads to the Airbus A380 and Boeing 787 and their operations worldwide. Can I praise one manufacturer and highlight another. Congratulations to Viking in resurrecting the Twin Otter after 22 years out of production. It’s a long flight from Sidney, British Columbia at 180 knots. And also to Britten-Norman whose Islander was first shown in 1966. The Farnborough International Airshow 2010 will feature a number of new innovations that we hope will benefit both exhibitors and visitors. This year, each day has been themed around the core industry sectors for which the event caters with the aim of facilitating better networking and business opportunities. The themes for each day are Monday – Aerospace, Tuesday – Defence, Wednesday – Space, Thursday – Security and Friday – Futures. Central to this theming is the A|D|S Conference Programme. Discussing some of the major issues affecting the industry today, the programme will give a platform for senior figures in industry and government. Can I remind you that Monday to Thursday is for the trade, with Friday 23rd Enthusiasts Day with an extended flying programme. The public are welcome on Saturday and Sunday where the air display will again include the Airbus A380, the world’s largest commercial jet. I have to finish with a suggestion. In 2012 the Farnborough Airshow will start a week early on Monday 9 July. There is a certain event centred on Stratford East London which would otherwise clash. However I do recommend getting your booking in early. Remind your hotelier that you will be back in two years’ time. The last Olympics in London was in 1948, and before that 1908.